Dr. Justin Pandoo is an internal medicine physician at CPG Carolina Internal Medicine.  He comes to Conway from the University of Maryland Medical Center, Midtown Campus in Baltimore where he completed his residency in Internal Medicine. He obtained his medical degree at American University of Antigua, College of Medicine, and his rotation of specialties took him to multiple clinical sites and hospitals around the United States. His interests include promoting smoking cessation and diabetes education. "I love being around people and helping people. Helping them see that, 'Hey, I can do this. I can beat smoking. I can fight diabetes.'" When asked why he chose internal medicine, Dr. Pandoo says, "With internal medicine you're like a jack-of-all-trades. You get to see everything... With internal medicine you have to look at the whole picture and the whole person and say 'What's going on? What is the problem, and how do we fix it?'" Outside of medicine, Dr. Pandoo enjoys sports, especially ice hockey. He has traveled to and played competitive ice hockey in the U.S., Canada, Finland, and Sweden.